"Let's go to a kampung today!" It was a lazy Sunday afternoon. We were all famished after our church services and Daddy decided that it might be interesting to visit this 'new' place. Kampung @ Simpang Bedok. We read about this place back in January. Set up by a social enterprise by some friends, the concept is to help hawkers, youths and immigrants to set up their own stores. 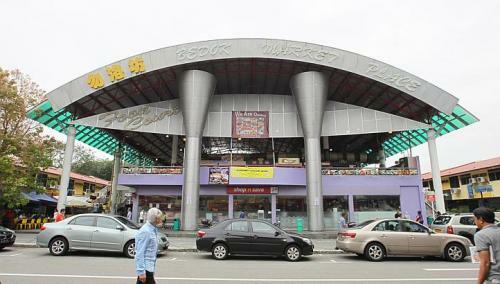 It is the first privately owned hawker center in Singapore. The Kampung is located at the second floor above Shop and Save. Actually Simpang Bedok had been our parents favourite haunt. They had previously stayed on the same street for over 5 years in 2 different locations. I have been visiting here till age 3. This is Didi's first visit to Simpang Bedok. Kampung@ Simpang Bedok is essentially a hawker center. There are a few interesting touches that makes it a little different from a typical hawker center. Check out the old style amusement rides. Very 1980s. There is a modern soccer table at the premises as well. Interestingly there are odd sections within the Kampung that gives it an old style vide. The 1970s kopitam tables can be found at one end of the hawker center. However the oddities does not extend throughout the hawker center. There are the conventional seatings found in most hawkers at another section. There is also a mini flea market selling old books and toys. It is an interesting idea, but sadly we hardly see anyone browsing the section while we were there. The Kampung had been opened for over 4 months. Like every hawker center, it is usually the food that draws the crowd. From what we saw , the big bowl chicken rice seems to be the most popular store at Kampung. We decided to try the prawn noodles and have a Vietnamese side dish. The prawn noodles had a generous serving of prawns and pork ribs. The Vietnamese side dish was well presented as well. There was no major wow in the food options, but there was no disappointment either. 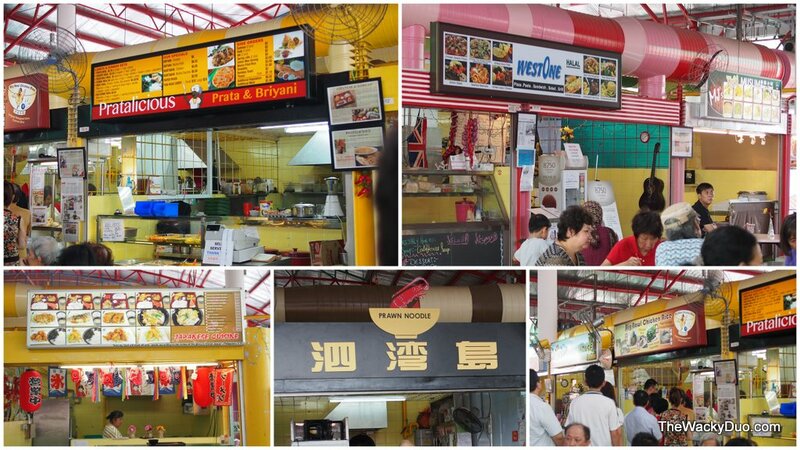 Interestingly both stores are managed by new immigrants, giving the dishes a small twist to the usual hawker fare. We like the concept, but it seem that the novelty of the place is not taking off. There are still more room to evolve. Given it's theme, it could be an ideal place for families to gather. Perhaps with time and better marketing, this place could be on the food radar of the Easterners. In addition, we learn that the Kampung does give back by organising Hawker Sessions to aidfamilies with immediate needs. 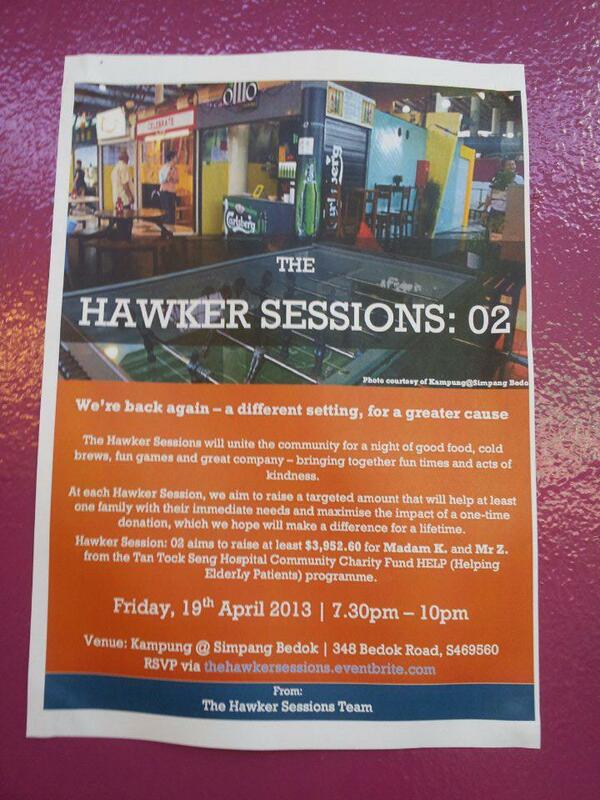 We think it is a refreshing and encouraging initiative by Kampung@Simpang Bedok. If you are around Simpang Bedok and decide to try a new place, why not drop in at the Kampung for a meal.